One of my favorite collections of Jack Kerouac works is “Lonesome Traveler.” This unexpected, slim, book, like “Big Sur,” reflects his genuinely original approach to life and writing. OCCUPATION Let’s elucidate: scullion on ships, gas station attendant, deckhand on ships, newspaper sportswriter, railroad brakeman, script synopsizer for 20th Century Fox in N.Y., soda jerk (etc.). I found this book by accident on a trip to Chapel Hill, when I picked up every single book I saw with his name on it. It was part of a special “Beat” display at the Bull’s Head Bookstore on campus, and that’s how I wound up with “Big Sur” and “Satori in Paris,” as well. I’ve since learned that Kerouac was a physical, athletic guy who enjoyed hard work. One of his jobs, railroad brakeman, was quite demanding. Kerouac, as brakeman, was responsible for turning the wheels or pulling the levers that stopped the behemoth trains. The brakeman used his own force to stop the tons of iron. “The Railroad Earth” has images of early mornings and mist that are often associated with travel, and the feeling that a traveler is not part of the day-to-day world, but another one, disconnected somehow but alive to the quick. 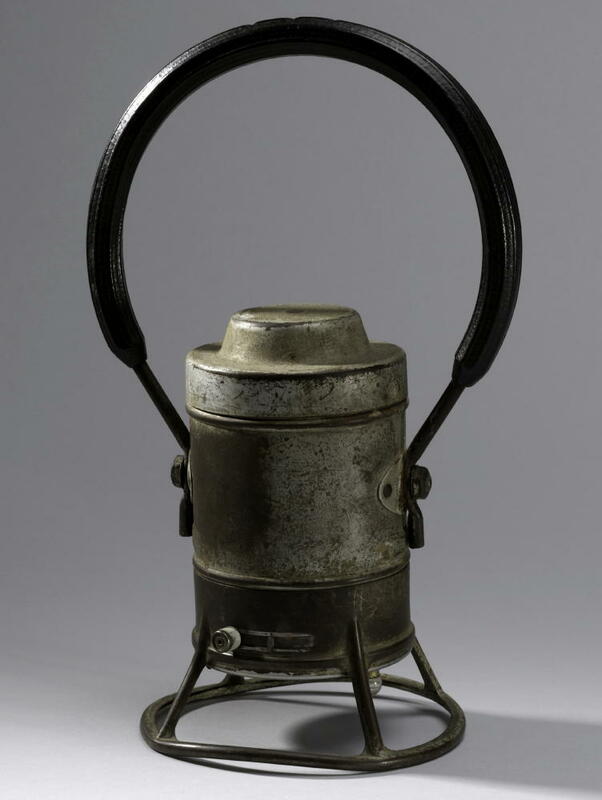 ABOVE: Jack Kerouac’s railroad track worker’s signal lantern from about 1940. New York Public Library, Berg Collection, Jack Kerouac Archive. Reproduced courtesy of John G. Sampas, legal representative of the estates of Jack and Stella Kerouac. This entry was posted on February 29, 2008 at 4:26 am and is filed under Uncategorized. You can follow any responses to this entry through the RSS 2.0 feed. You can leave a response, or trackback from your own site.